Your forecast for the week of March 26 | Wisecrack Zodiac: Your Snarky Guide to the Stars! 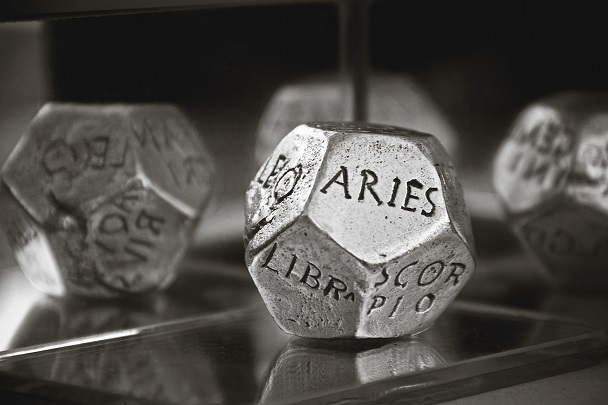 Aries: Not everyone can be as fabulous as you, but people seem to be offended by your offer of free lessons. Do what the pros do: make your own infomercial and charge $39.95 for your secrets. Your fans will line up. Taurus: It’s always a good idea to beware of strange men bearing gifts, but you should really watch out for those gifting bears. There’s no room for a grizzly in your apartment, unless it cooks and cleans. Gemini: Look sharp, because you’ll either land a new love or a new boss, so you’ll be kissing some cheeks. Whether those are up top or down below depends on your smooth-talking ability. Cancer: Reality is like Play-Doh; the best way to create what you want is to get your hands dirty and pound it into shape. Choose some bright colors and make your world shine in silly, squishy glory. Leo: Someone will tell you that you’re one tough cookie, but is that really a compliment? Try to be nuttier, softer and irresistible. If you can’t swing that, buy a snorkel because you’re going to get dunked a lot. Virgo: Friday will be one of your best days ever, if you manage to avoid that incident with three clowns, two unicycles and a cranky weasel. Check your insurance and see if you have a circus rider. Libra: A bird in the hand may beat two in the bush, but if you squeeze any of them too hard, you’re going to have a mess. Give up on canary-clutching and just head to KFC instead. Scorpio: There’s a puzzle you’ve been trying to solve for weeks, but you just can’t find the solution. Best approach? Write it into a video game and let an 8-year-old deal with it; you’ll have the answer in no time and you’ll enjoy the added bonus of feeling like an idiot. Sagittarius: The sun shines on you this Friday, but don’t get your hopes up; that light just lets the birds know where to aim. Take an umbrella with you and defeat the mad pigeon bombers, otherwise your day will just poop out. Capricorn: It’s great that you see room for improvement in your life, but you’re rather wild with that hammer. Slow down and study the blueprints first or no one will let you near a nail gun. Aquarius: Some days you’re the supervillain, other days you’re the Bond girl, but you’re never the star of the show. Grab that tuxedo and step into the spotlight; those around you will be shaken and stirred. Pisces: You’re used to the voices in your head, but on Thursday they form a committee. Either get some stronger meds or bone up on Robert’s Rules of Order, before they form a task force.